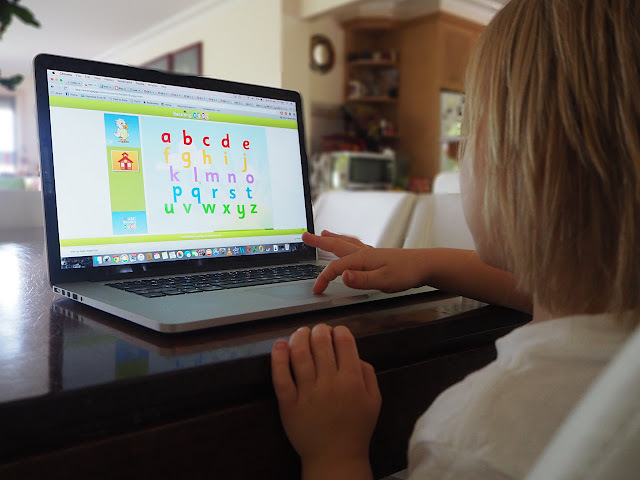 Learn with Play at Home: Help your child learn to read in 4 weeks for free! Help your child learn to read in 4 weeks for free! fluency - reading aloud with speed, understanding and accuracy. ABC Reading Eggs – a favourite reading program of ours – helps children achieve this. The online program covers all five keys to reading success through fun games, interactive lessons, and books. And right now, they’re offering a FREE 4 week trial that parents can take advantage of here. 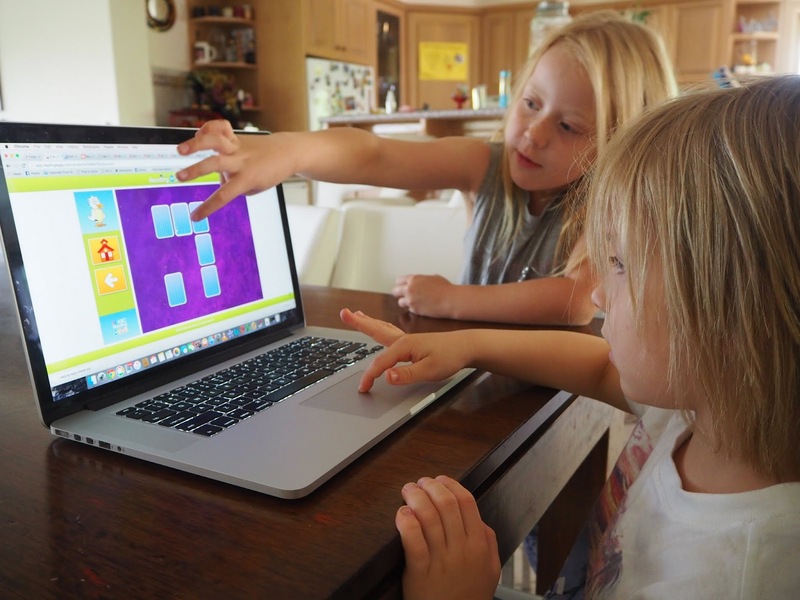 With both myself and my husband working regularly on computers, it is no wonder that of course my children want to get on computers themselves. In fact, technology is such an everyday part of our modern societies' way of life, that it is only natural that children want to be a part of this world as well. When it comes to screen time, I believe there needs to be limits for children. If I let him, my son (4 years old), would probably sit staring at screens for the better part of a day. He loves sensory play and construction but is also a very visual learner and gets very drawn in to focusing on what is going on before his eyes. Whilst my daughter (aged 7) isn't quite as obsessed with all things technological, she does very much enjoy using a computer or tablet when she gets the chance! I don't mind my children having a certain amount of screen time daily, but I am very picky when it comes to what that screen time entails. If they're going to be on a computer or tablet, then I want to know that they are gaining something from that time, which is why there are set programs or apps that my children have access to. ABC Reading Eggs is the perfect way to ensure my children are benefitting from valuable educational screen time. The multi-award winning educational program was created for children aged 3-13 years, by a highly experienced team of Australian primary school teachers, writers and developers, in order to assist children to become fluent and proficient readers. The games and activities throughout the program have been designed in a way that is self motivating, self-paced, entertaining and fun - and the program can be used on a desktop, iPad and most other tablet devices. This combination is what motivates children to want to play, which in turn helps them to develop and consolidate their reading skills. It is also used in more than 5,000 schools throughout Australia and is a program I've used previously with students I've taught. Driving Tests: 45 literacy tests that assess sight words, phonics skills, and vocabulary, and award children with fun racing car games. Story Factory: provides a step-by-step guide to writing a story. Children can choose illustrations and access word and sentence suggestions to craft an original story. Storylands: opens after lesson 60 and contains 20 new lessons that build young children’s comprehension and vocabulary skills. ABC Reading Eggspress Library: over 2000 e-books sorted by age level and Lexile level, including fiction and informational texts. The library also includes read aloud options for beginner readers. Each book ends with a comprehension quiz to assess children’s understanding. 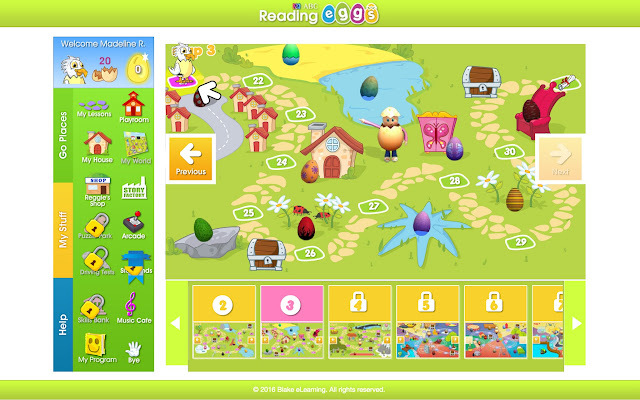 Rewards-based areas: ABC Reading Eggs is designed to reward children for their achievements to motivate them to keep learning. The program includes multiple rewards-based areas, like Reggie’s Shop and the Arcade, where children can buy items and games with the golden eggs they earn. Parent dashboard: Parents have access to detailed progress reports and hundreds of full-colour activity sheets that correspond with the lessons in the program. Parents can also print out a certificate for their child after they complete each map. ABC Reading Eggspress (7-13 years) is included with the ABC Reading Eggs subscription and focuses on more advanced literacy skills such as spelling, comprehension, vocabulary and grammar skills. 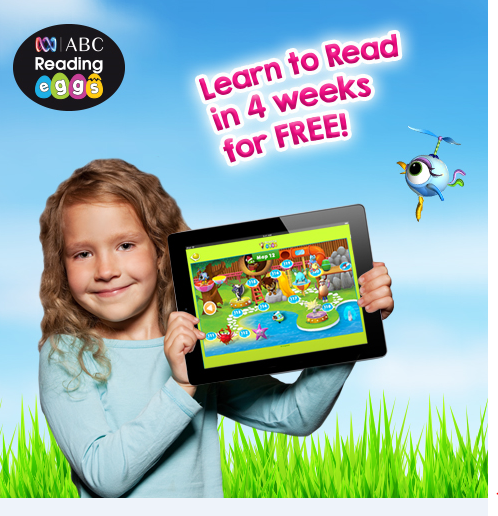 ABC Reading Eggs is offering a free 4-week trial of their multi-award winning program for new customers. You can trial this program for no upfront costs and without needing to put in any credit card details. It's also really quick and easy to set up and, as I mentioned before, you can use it on your computer or supported devices, like your iPad. Join over 3.4 million users worldwide and start your FREE 4-WEEK trial today. 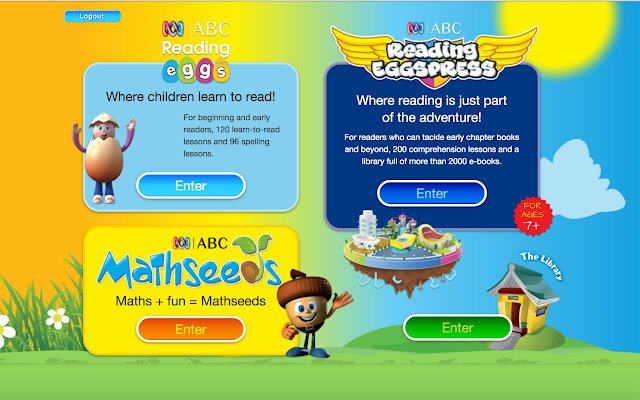 During your free trial, you will also have access to ABC Reading Eggspress (for ages 7-13) and ABC Mathseeds (their maths program for children aged 3-8). If you wish to continue using ABC Reading Eggs after your four weeks is up, parents have the option to purchase a 12 month or 6 month subscription OR a combined subscription which also includes ABC Mathseeds. You can purchase a 6 month subscription online for $59.95 or a 12 month subscription for $79.95. The best part about it, according to my kids, is that it's fun!